The program Jack presents to us on this recording, comprises a collection of songs, selected by him, which he feels accurately reflect the life, times, and career of Frank Sinatra. All thirteen tracks were brilliantly arranged by acclaimed musician and composer Patrick Williams, and they so perfectly fit the inimitable Jones-style. A long-time wish of Jack’s has been for a working reunion with Patrick – a dream now fulfilled through the creation of this album. Listen to the fingers that dance so nimbly across the keys. They belong to Academy and Grammy Award winner Dave Grusin of whom Jack says: “Dave is so perceptive. He just knows when I am going to breathe or hold a phrase over into the next bar. It’s what it must be like to accompany yourself. Together we make good music.” And so they do! By subtly changing that song’s message from the first to the third person, i.e. substituting He for its original I, Jack in essence transforms Ervin Drake’s lyrics into a very moving Ballad of Frank.’The album is capped by All Or Nothing At All, Sinatra's philosophy. 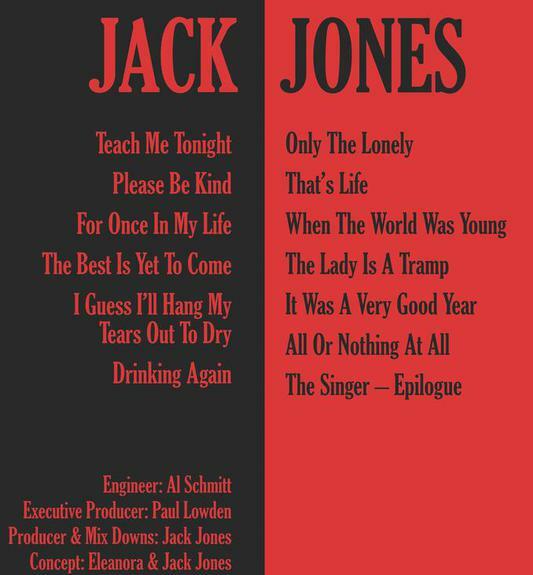 For the program’s epilogue, Jack delivers a soulful and very reflective ‘The Singer.’ Originally composed by Vincent Falcone and Joe Cocuzzo, as a Sinatra eulogy, Jack feels that the song’s penetrating lyrics fully epitomize the person he knew and much admired: Frank; – the man, the singer. a completely new experience. Jack Jones, an artist who creates, as distinct from the painter who simply fills in the blocks or colors by numbers, has consistently proven himself to be a master at seeing beyond the composer’s notes and lyrics. Thus he discovers and interprets the real message behind each composition, subsequently revealing all to his audience. 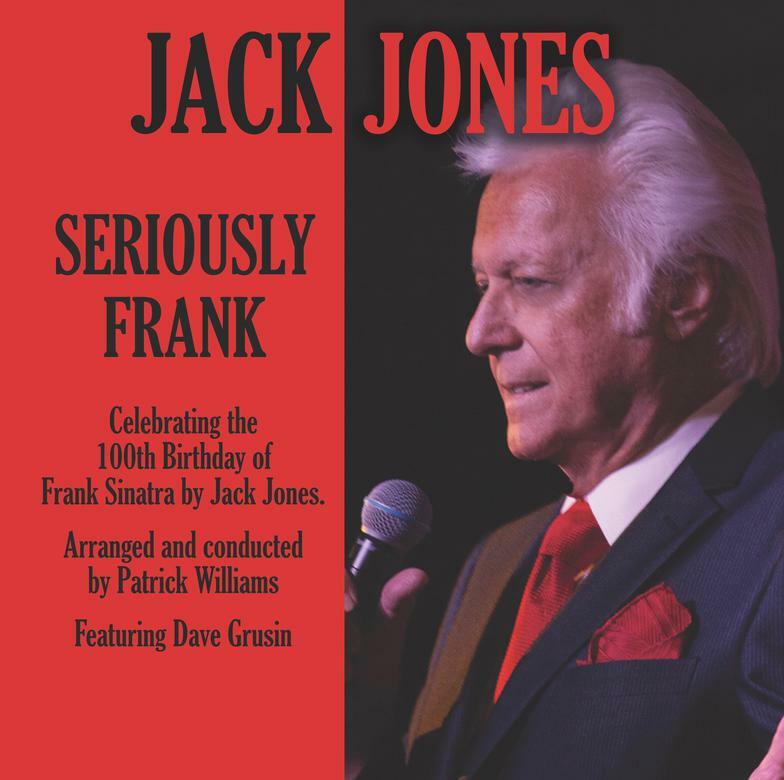 Jack Jones, born in Hollywood, California, formed an association and long-standing relationship with the entire Sinatra family through his friendship with fellow high-school student Nancy Sinatra. The meeting with her father turned out to be a defining moment as he pondered his future. His singing career blossomed, and – establishing a reputation for unique and very personal song interpretations -- he swiftly rose to the top, cementing his place amongst the greatest singers of our time. Along the way Jack collected two Grammy Awards and five Grammy Nominations. From his peers, such compliments as “A Singer’s Singer” and “He pours his heart into every song – there is an obvious joy in every performance'' are commonplace.